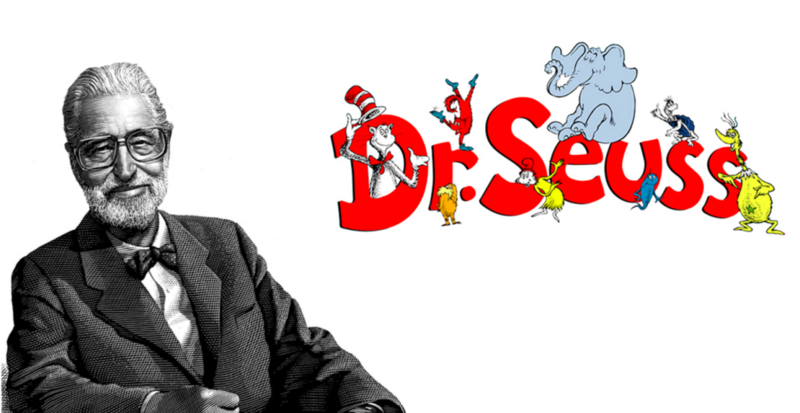 Theodor Seuss Geisel was born on March 2nd, 1904 to a German family in Springfield, Massachusetts. His father ran a family-owned brewery in Massachusetts (well, until the Prohibition did away with that). Geisel went to school in Massachusetts until he went to Dartmouth College in New Hampshire, graduating in 1925. During his time at Dartmouth, Geisel first showed skill and interest in humorous literature as rose to the role of editor-in-chief of the literary magazine the Dartmouth Jack-O-Lantern before graduating. Unfortunately, one college incident threatened to end his early literary career – when Geisel was caught drinking gin (the Prohibition was in effect) in his dorm room with some of his friends. In punishment for this crime, Geisel was forced to resign from his position at the magazine. In order to continue publishing his work at the Jack-O-Lantern, Geisel began writing under the pen name “Seuss”, his middle name. The beginning of Dr. Seuss was underway. 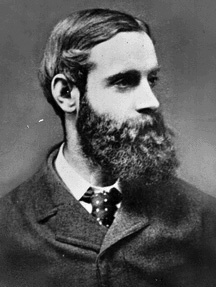 Once graduating from Dartmouth, Geisel began his PhD studies at Lincoln College, Oxford, to earn a degree in English Literature. Though he left Oxford without a degree in early 1927, Geisel was still able to begin his living publishing humorous cartoons. He accepted a job at the humor magazine Judge and 6 months after he began working at the magazine he first published work under his pen-name “Dr. Seuss.” Geisel’s cartoons gained popularity throughout the end of the 1920s and the entirety of the 1930s, largely due to his help with advertisements of popular brands like General Electric and Standard Oil – adverts that helped him and his wife maintain financial stability through the Great Depression. Due to help from a friend (despite his popularity), Geisel was able to begin publishing humorous poems with the Vanguard Press. In 1940, he published a poem under the title “Horton Hatches an Egg” – a poem that has, to this day, sparked further books, movies, animated films and even musical productions. 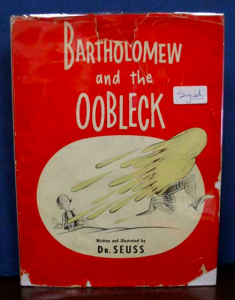 Our inscribed copy of Bartholomew and the Oobleck can be found here! Throughout the 1940s and WWII, Geisel created hundreds of political cartoons criticizing Hitler and Mussolini and strongly supported the US war effort. Shortly after the war, Geisel and his wife Helen moved from New York to La Jolla, California and he returned to writing children’s books. Between 1950 and 1960 Geisel published many of the works he is most well-known for today, such as Bartholomew and the Ooblek (1949), If I Ran the Zoo (1950), Horton Hears a Who! 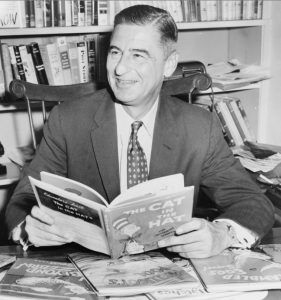 (1955 – a more in-depth work on his original poem), If I Ran the Circus (1956), The Cat in the Hat (1957), How the Grinch Stole Christmas (1957) and Green Eggs and Ham (1960). In 1954, William Ellsworth Spaulding challenged Geisel to write a book with 250 words chosen by the education division of Houghton Mifflin of words that all 1st graders ought to know. The result contained 236 of the 250 words and was Geisel’s famed The Cat in the Hat! 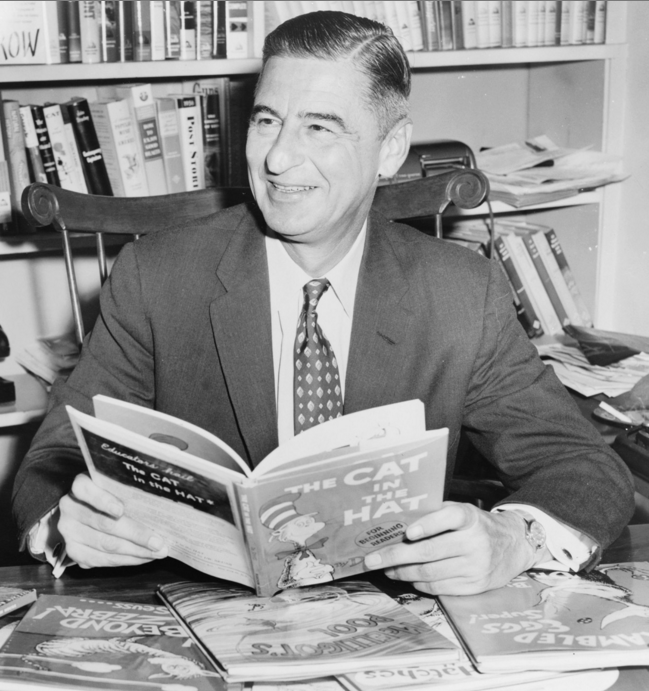 Though Geisel (surprisingly) never won a Newbery or Caldecott award, he was awarded an honorary doctorate from Dartmouth (1956), a Laura Ingalls Wilder Medal in 1980, and the Pulitzer Prize in 1984 (for his “substantial and lasting contributions to children’s literature”). Geisel also never had children of his own (perhaps he was too busy teaching and entertaining everyone else’s children! 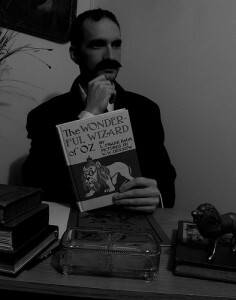 ), but will forever be remembered as one of the fathers of Children’s Literature! This entry was posted in Americana, Antiquarian Books, Children's Books, Collecting, History, Uncategorized and tagged children's books, children's illustrators, children's literature, children's picture books, dr. seuss on March 2, 2016 by tavistock_books. 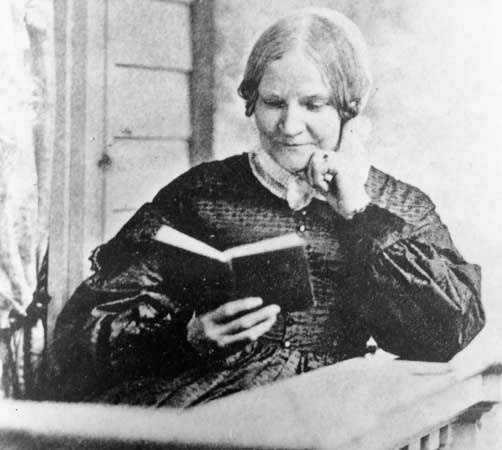 Lydia Maria Francis Child established herself as a respected novelist before her rational approach to abolitionism cost her career. An influential thinker, Child managed to rebuild her reputation and became one of the most respected abolitionists of the time. Child was born on February 11, 1802 in Medford, Massachusetts. Her father, David Convers Francis, was a successful businessman and sent her older brother, Convers, to Harvard. The same educational opportunity was not available to Child, but Convers supervised her education. When Child’s mother died in 1814, she was sent to live with her sister Mary Francis Preston in Norridgewock, Maine Territory. Child would stay there until 1820 and study at the local academy, which Convers supplemented with the works of Milton, Homer, and other classics. In 1821, Child moved back to Massachusetts to live with Convers, who was by now a minister at the Unitarian church in Watertown. Just outside of Boston, Watertown was a veritable hotbed for progressive thought, and it was there that Child met such illustrious figures as John Greenleaf Whittier, Theodore Parker, and Ralph Waldo Emerson. Child also befriended Margaret Fuller. By this time, Child had opened up her own girls’ school, but she still found time to write her first novel. Hobonok, a Tale of the Times (1824) was published when Child was only 22 years old. It recounted the story of Mary Conant, who is forbidden to marry her Episcopalian lover. Instead, she marries Hobonok, a member of the Pequod tribe and bears his child. While the literary community found the book scandalous, the novel became quite popular. Encouraged, Child published The Rebels; or, Boston Before the Revolution (1825), a novel about the events leading up to the Boston Tea Party. This book was popular among critics and readers alike. In 1826, Child started Juvenile Miscellany, the first periodical in the United States that was solely devoted to children. She filled the journal with her own poems and stories, along with plenty of educational material. The venture proved more profitable than Child had anticipated, and it provided her a nice living for the next eight years. Child met David Lee Child in 1828. He was a Harvard educated lawyer who practiced in Boston and had served in the state legislature. He also edited the Massachusetts Whig Journal. The couple soon married, and David introduced his wife to a new side of issues like Indian rights and abolition, including the radical ideas of William Lloyd Garrison. Despite David’s education and credentials, he proved a poor breadwinner. Child supported them both with her writing. In 1829, she published The Frugal Housewife. The manual included tips on saving money, preparing home remedies, and educating girls. The book proved a success, and Child followed up with The Mother’s Book and The Little Girl’s Own Book in 1831. These volumes earned Child international renown. In 1833, Child made a decidedly bold move. She published An Appeal in Favor of That Class of Americans Called Africans. The abolitionist book represented a significant departure from abolitionist literature of the era: rather than making religious or scriptural arguments, Child appeals to reason and makes a political case for abolition. Child also went a step further than most abolitionists, presenting a case not just for eliminating slavery, but also for ending discrimination against freed African Americans. Child advocated immediate emancipation–without compensating slave owners for their “lost property” and spoke out against the colonization of Africa. The book is considered a tour-de-force in abolitionist literature, and it influenced leaders like Wendell Phillips, William Ellery Channing, and Charles Sumner. Child faced immediate repercussions for her Appeal. The Boston Athenaeum revoked her free reading privileges. Book sales plummeted. People rushed to cancel their subscriptions to Juvenile Miscellany, and Child was forced to shut it down. Meanwhile her husband had opted to raise sugar beets instead of slave-produced sugar cane, which was a complete failure. Their savings slowly dwindled. In 1841, Child accepted editorship of the National Anti-Slavery Standard, the New York newspaper of the American Anti-Slavery Society. But she couldn’t agree with the use of violence and other extreme measures to further the cause and left the publication in 1843. Her departure caused a significant rift in the abolition movement. Her husband stepped up as editor after her, but was equally unable to stomach the society’s agenda. That year, Child separated her finances from her husband’s, and the couple would remain estranged for a decade. Child turned to journalism to support herself, writing prolifically for newspapers and other periodicals. With Letters from New York (1843-1845), she managed to reestablish her reputation as an author. Child also took up the cause of gender equality, but she was reluctant to officially align herself with either suffrage or abolitionist movements after her break with the American Anti-Slavery Society. When John Brown staged his rebellion at Harper’s Ferry in 1859, Child was compelled to action. Though she didn’t agree with Brown’s violent approach, she admired his courage. 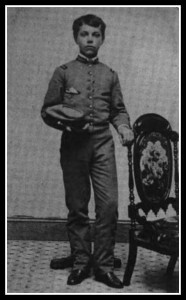 When Child learned that Brown had been injured, she immediately wrote to Virginia Governor Henry Wise to offer her nursing services at Brown’s bedside. Brown declined the offer, but it nevertheless rankled the pro-slavery camp. Mrs. James Mason, the wife of the author of the Fugitive Slave Act, stepped in. She, too, wrote to Governor Wise, denouncing Child for offering her services to a murderer. Mason made an ill-advised appeal, noting that Southern women aided slave women during child birth. Child immediately responded, pointing out that Northern women, too, assisted in the childbirth of African Americans, but “after we have helped the mothers, we don’t sell the babies.” The Child-Wise-Mason correspondence was packaged as a pamphlet by abolitionist leaders and distributed all over the North. At one point, 30,000 copies were circulating. Thus ironically it was the same outspoken abolitionism that had cost Child her reputation that would again make her a celebrated figure. Child continued to speak for equal treatment of African Americans. In 1861, she gladly accepted an invitation to edit former slave Harriet Jacob’s novel Incidents in the Life of a Slave Girl. She followed in 1865 with The Freedman’s Book, a collection of sketches, poetry, and essays designed to be inspirational to newly freed blacks. Child’s last publication would be an anthologies of her works, Aspirations of the World: A Chain of Opals (1878). Child passed away on October 20, 1880. A central figure in the abolitionist movement, her works are considered highly collectible by both historians and literature lovers alike. This entry was posted in Americana, History and tagged abolition, children's literature, Lydia Maria Francis Child, The Frugal Housewife on June 6, 2014 by tavistock_books. Yesterday the winners of this year’s Newbery and Caldecott Awards were announced. The latter was named for Randolph Caldecott, an accomplished painter and sculptor whose various attainments are often eclipsed by his brilliant carer as an illustrator. Along with figures like Kate Greenaway and Walter Crane, Randolph Caldecott was truly one of the most gifted illustrators of the Victorian era. Caldecott was born in Chester on March 22, 1846. He was third child by his father’s second wife and would eventually be one of thirteen children. 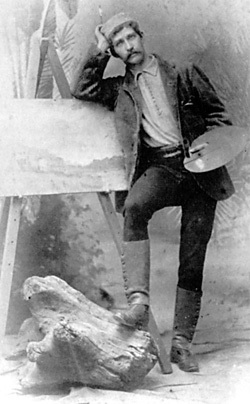 From the time he was young, Caldecott frequently spent his free time sketching and modeling his surroundings. But when Caldecott left school at fifteen years old, it wasn’t to pursue a career in art. He took a position at the Whitchurch branch of the Whitchurch & Ellesmere Bank. Caldecott settled in a nearby village, and he often took time to capture the country scenes that stretched out before him as he traveled to visit clients. A lover of riding, Caldecott naturally took up hunting. His collected works include, therefore, a huge number of hunting scenes, along with myriad sketches of animals. Caldecott’s first published drawing was of neither; it was of a disastrous fire at the Queen Railway Hotel. Caldecott wrote an account of the blaze for the Illustrated London News. When Caldecott moved to Manchester six years later to work at the Manchester & Salford Bank, he took the opportunity to take night classes at the Manchester School of Art. Soon after, his drawings began appearing in local and London periodicals. Then in 1870, Caldecott’s friend Thomas Armstrong, a painter in London, introduced Caldecott to Henry Blackburn of London Society. Blackburn and Caldecott got along famously, eventually traveling together. For a time, Caldecott even lived in a cottage at Blackburn’s estate. Blackburn published a number of Caldecott’s illustrations in the magazine, and in 1872 Caldecott decided to move to London and pursue illustration full time. He was 26 years old. Within two years, Caldecott found himself a prominent magazine illustrator working on commission. His opus is varied, ranging from children’s books to travel illustrations and caricatures. His illustrations for Washington Irving’s Old Christmas and Bracebridge Hall (1875) had made his name in the illustration world. Caldecott also illustrated works by Oliver Goldsmith, notably Elegy on the Death of a Mad Dog. Caldecott’s illustration of the poem would be used in a World War I parody, in which the head in his original illustration was replaced by the head of the Kaiser of Germany. Caldecott settled in the heart of Bloomsbury. He was surrounded by artists and literati, regularly encountering figures like Dante Rosetti, George du Maurier, and Frederic Leighton. Lord Leighton would go on to hire Caldecott to design four peacock capitals for the Asia room of Leighton House in Kensington; Walter Crane would design a peacock frieze for the same room. In 1877, accomplished engraver Edmund Evans ended his relationship with illustrator Walter Crane. Evans found Caldecott’s illustrations “racy and spontaneous,” so he invited Caldecott to replace Crane. The first project: two Christmas books. Caldecott took on the work, illustrating The House that Jack Built and the William Cowper poem The Diverting History of John Gilpin. These books were so successful that Caldecott produced two more each Christmas for the rest of his life. 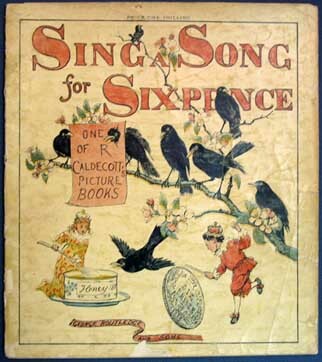 Caldecott chose all the stories and rhymes, sometimes even composing them himself. Combined sales of the Christmas books hit 867,000 during Caldecott’s lifetime. The artist was internationally famous. 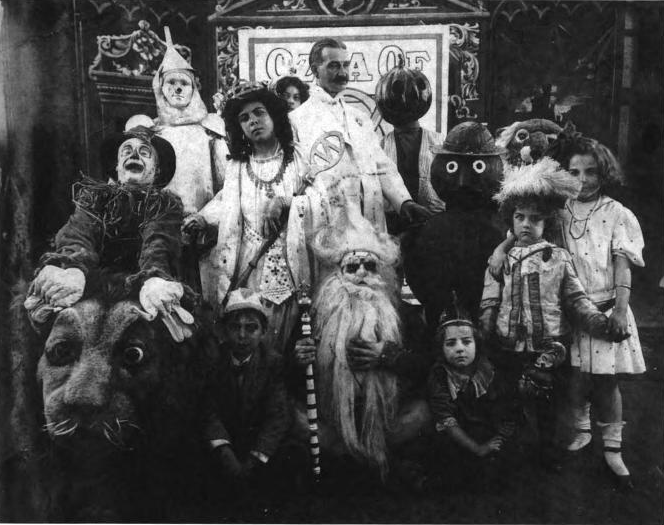 Caldecott’s publisher, George Routledge & Sons, took Caldecott’s works quite seriously. They took great pains to reproduce the colors exactly as Caldecott had intended. 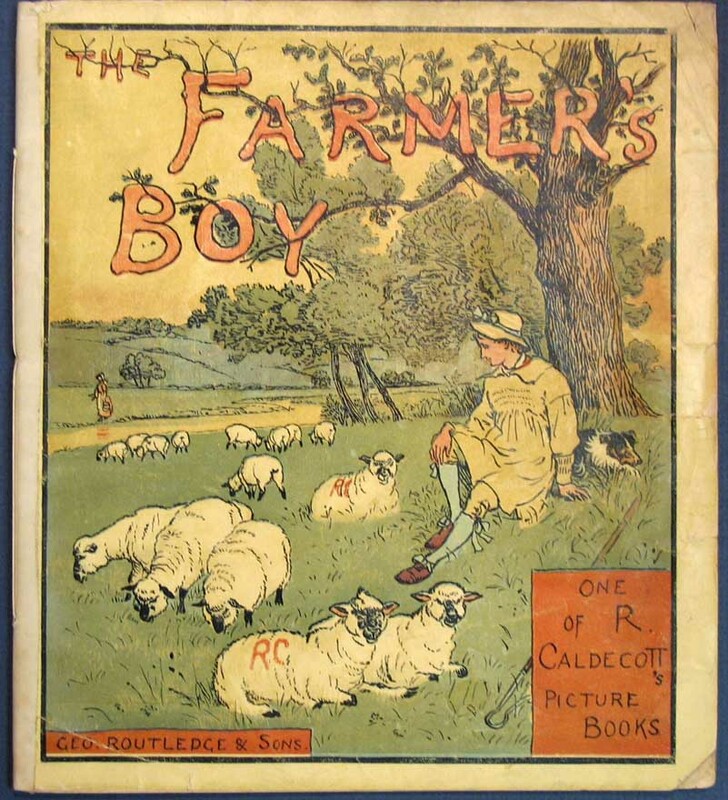 When the books were reissued by Frederick Warner & Co after Caldcott died, they brightened the colors but lost much of the subtlety imbued by Caldecott. 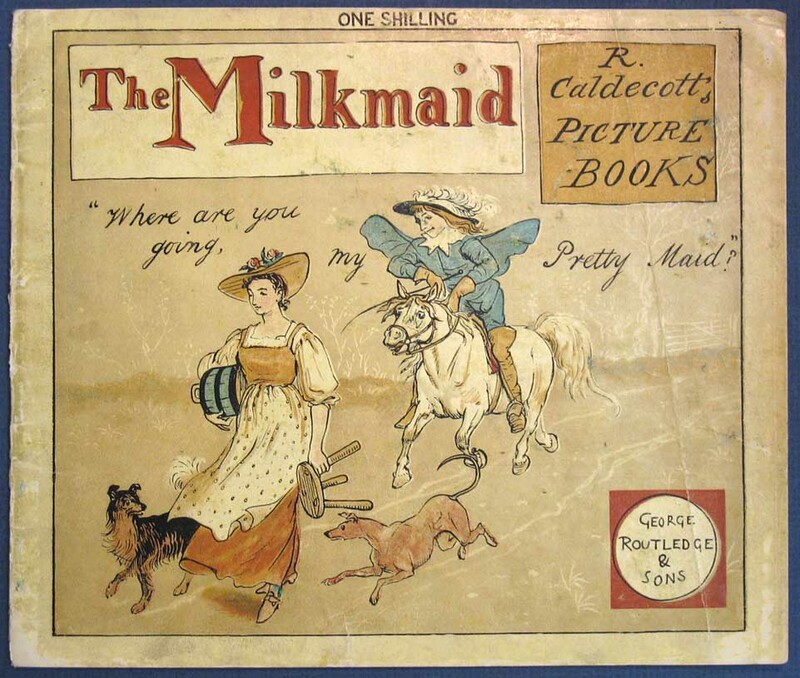 Not all Caldecott’s works, however, were commercially successful. 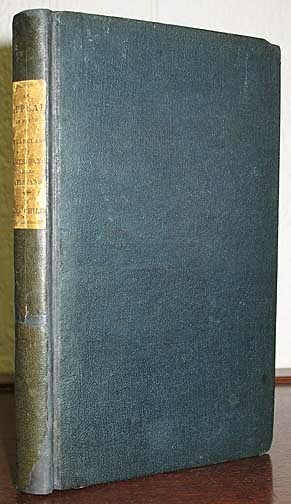 In 1883, he undertook an edition of Aesop’s fables. He invited his brother Alfred to translate the tales from the original Greek, but later overruled Alfred’s accuracy. Caldecott’s goal was to make Aesop’s fables, which were often used for instruction, more accessible to children. He illustrated each of the tales he selected with Victorian human behavior. Usually comical, the illustrations illuminated the veracity of Aesop’s teachings. But the book was still too complicated for children, and it did not sell well. Meanwhile, Caldecott’s health was ever precarious. He frequently traveled to warmer climates. It was on one of these trips, in 1886, that he passed away. Caldecott and his wife had arrived in St. Augustine, Florida during a particularly cold February. Caldecott succumbed to the cold, and his memorial still stands in St. Augustine. This entry was posted in 18th-Century Literature, Children's Books, History and tagged Caldecott Medal, children's literature, Randolph Caldecott on January 28, 2014 by tavistock_books. Scholars debate over the etymology of the term “chapbook.” Some argue that “chap” is derived from “cheap,” surely an accurate description of chapbooks, since they were indeed cheap little publications. But the more widely accepted explanation is that “chap” comes from the Old English “céap,” meaning “barter” or “deal.” Peddlers came to be known as chaps, and they were the primary purveyors of chapbooks. Whatever the origin of their name, chapbooks became a vital tool for dissemination of information and promotion of literacy. 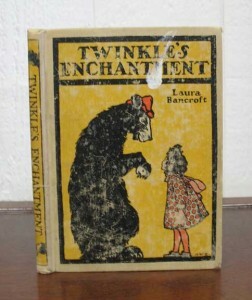 As publishing and readers’ tastes evolved, chapbooks also provided an ideal means of addressing an increased demand for children’s literature. Since the Middle Ages, traveling peddlers provided many necessary wares to rural communities–and that included the news. They would often regale their customers with the latest in politics, entertainment, and gossip. Then in 1693, England repealed the Act of 1662, which had limited the number of Master Printers allowed in the country. The number of printers exploded. Meanwhile, charity schools emerged, making education and literacy more accessible to the poor. The demand for cheaply printed reading materials drastically increased as a result, and all the new printers were happy to supply their needs. By 1700, chapmen regularly carried small books–usually about the size of a waistcoat pocket–on virtually every topic imaginable. The books were generally coverless, and their illustrations were made of recycled (and irrelevant) woodcuts from other publications. In the absence of copyright laws, printers would steal illustrations or even large chunks of text from other chapbooks and reproduce them in their own editions. Early chapbooks weren’t even cut; the purchaser would cut apart the pages and either pin or stitch the book together to read. Chapbooks grew into an incredibly powerful tool for disseminating new ideas. When Thomas Paine published The Rights of Man, he suggested that the second edition be made available in chapbook form. The book went on to sell over two million copies, an incredible feat in those days, when the average publishing run might be only a few hundred or thousand copies. Religious organizations used the form to publish religious tracts, nicknamed “godlinesses” or “Sunday schools.” There were even chapbooks for the chapmen themselves, containing information about different towns, dates for local fairs, and road maps. The Industrial Revolution, however, brought a revolution in the printed word as well. People flocked to the cities, reducing chapbooks’ role in news delivery. Newspapers had also become cheaper to produce, so they were no longer relegated to the upper class. And chapbooks’ days seemed numbered when public solicitation was outlawed and peddlers could no longer distribute them. Meanwhile people’s tastes were changing. As the decades of the 1800′s passed, the novel was emerging as a new, preferred form, and in terms of “cheap” literature, chapbooks eventually gave way to “penny dreadfuls,” the dime novel, and other such low-brow forms. But changing reading habits and higher literacy rates also meant an increased demand for children’s literature. From around 1780, most booksellers offered a variety of children’s chapbooks, which included ABC’s, jokes, riddles, stories, and religious materials like prayers and catechism. Thanks to improved printing techniques, this generation of chapbooks was printed with relevant illustrations and attached colored paper or card wrappers. Though we think of chapbooks as a distinctly British form, they emerged in various forms around the world. Harry B. Weiss writes in A Book about Chapbooks, “The contents of chapbooks, the world over, fall readily into certain classes and many were the borrowings, with of course, adaptations and changes to suit particular countries.” And despite their variant forms and culturally specific content, chapbooks consistently served as a democratizing force in the dissemination of ideas. Collectors may build entire collections around chapbooks, or they may find that certain chapbooks fit in well with their collections. For example, the 1849 edition of Juvenile Pastimes includes a rare early pictorial depiction of baseball, making it an ideal addition to a collection of baseball books. Collectors of erotica may enjoy Dumb Dora: Rod Gets Taken Again, an adult chapbook with suggestive, but not pornographic, illustrations. The variety of chapbooks means there’s a little book for everyone! This month’s select acquisitions are a short list of delightful chapbooks. Please peruse them and contact us if you have any inquiries. As cataloguing chapbooks is quite the endeavor, we’ve also put together an article about the resources used to catalogue the items on the list, which includes our bibliographic sources at the end. This entry was posted in 18th-Century Literature, 19th-Century Literature, Children's Books, Collecting and tagged chapbooks, children's literature, collecting, select acquisitions on October 2, 2013 by tavistock_books.